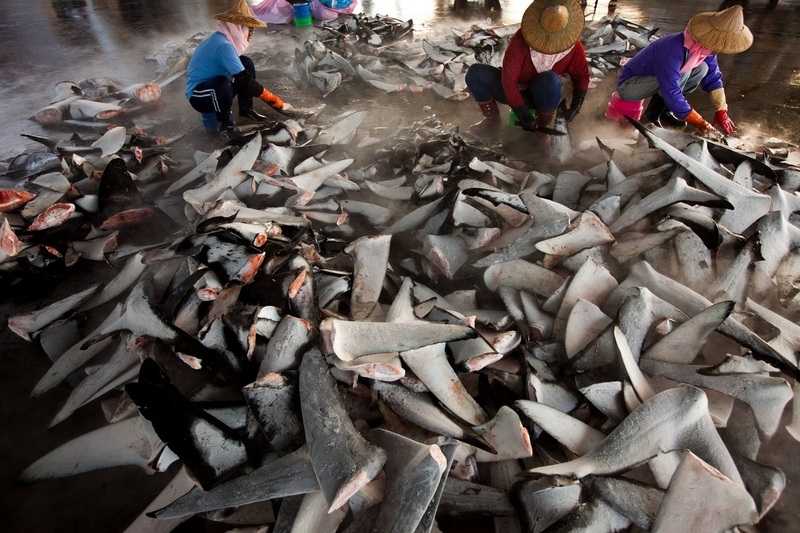 (2012) It’s estimated that as many as 73 million sharks are killed annually by long line fishermen for a bowl of soup. Long considered a delicacy in Chinese cooking, shark fin soup was once a dish reserved only for royalty. The soup itself tastes of nothing. Almost like plain rice noodles and while the broth is certainly good, the fin itself adds nothing. This symbol of status can now be bought for upwards of $400 in upscale restaurants making it one of the most expensive soups in the world. This strive for status has contributed to the decimation of 95 percent of the species since the 1970s. Unfortunately, the number of sharks being killed for what amounts to 3 percent of its body is not what is most appalling. 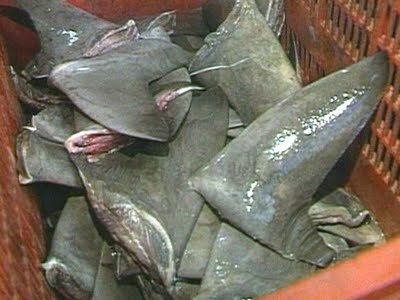 In probably one of the most barbaric and wasteful acts committed by human beings, hooked sharks have their fins sliced off, while they’re still alive. The actual meat of the shark however has little or no value to fisherman. What’s left of the shark, still wriggling in agony, is generally dumped back into the water where the shark will eventually drown. Despite this, saving sharks from this cruel fate and eventual extinction is still in contention. In June 2012, the New York State Senate did not vote on a bill banning the sale of imported shark fins. 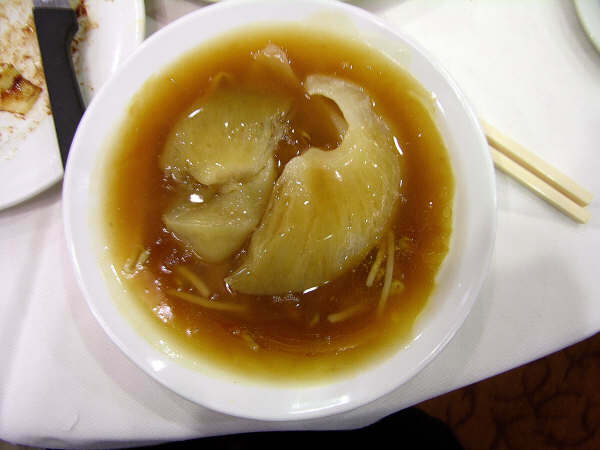 As a result, over 50 restaurants in New York City’s Chinatown will continue to serve shark fin soup. Some have argued that sharks aren’t worth saving. Species go extinct every day and sharks are predators after all; a danger to human beings. 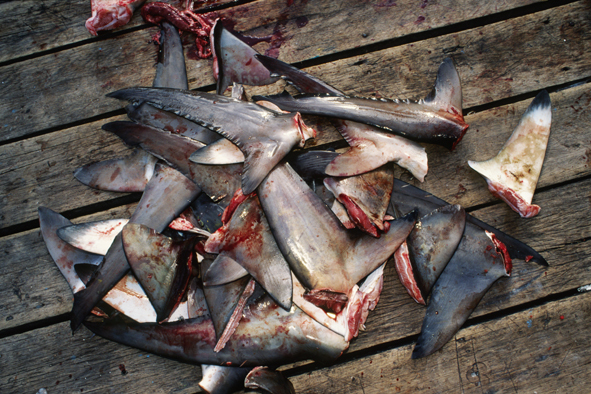 However, shark finning poses a real threat; not to just sharks but all marine life. When a species of shark goes extinct, other species in its ecosystem face problems with overpopulation that disrupt the entire food chain. No bowl of soup is worth that. 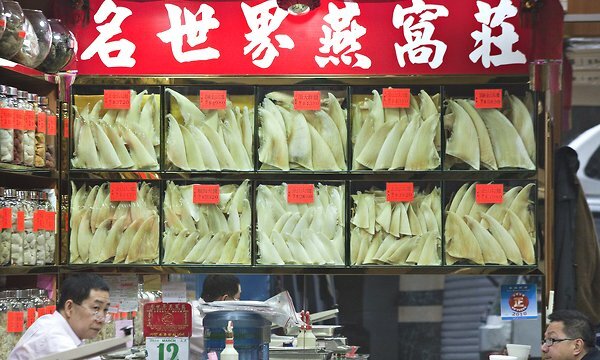 HONG KONG - China said Tuesday July 3, 2012, that it would prohibit official banquets from serving shark fin soup, an expensive and popular delicacy blamed for a sharp decline in global shark populations. Retailers in Hong Kong, the main hub for the international trade in the fins, charge more than 2,000 Hong Kong dollars, or $260, per catty, a traditional weight measure commonly used in markets here. Equal to just over one pound, one catty makes about 10 portions of soup, which works out to $26 a portion. Rapid economic growth across Asia in recent years has catapulted millions into the ranks of those who can now afford the dish. 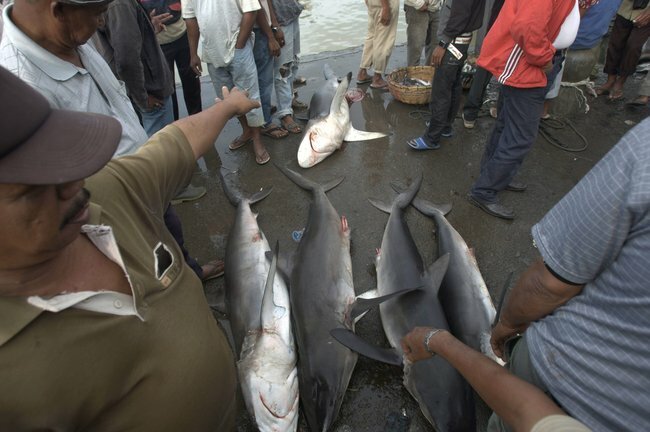 Fishermen displayed their sharks for sale at a market in Banda Aceh, Indonesia, in 2011. Rapid economic growth across Asia has increased the demand for shark fin soup. 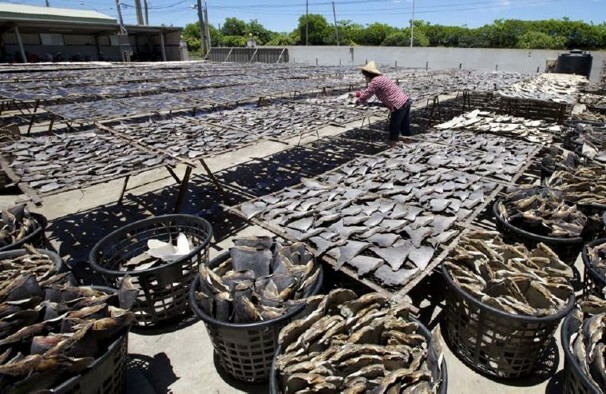 The New York Times has reported that, in an apparent effort to help slow the decline of shark populations worldwide, China announced on Tuesday that all state functions will no longer serve Shark Fin Soup. Whilst this is welcome news to those involved in Shark Conservation there have already been warnings that it could take up to 3 years to take effect - and even then regional areas of China are known to ignore central state orders so this announcement could end up being more symbolic in nature.